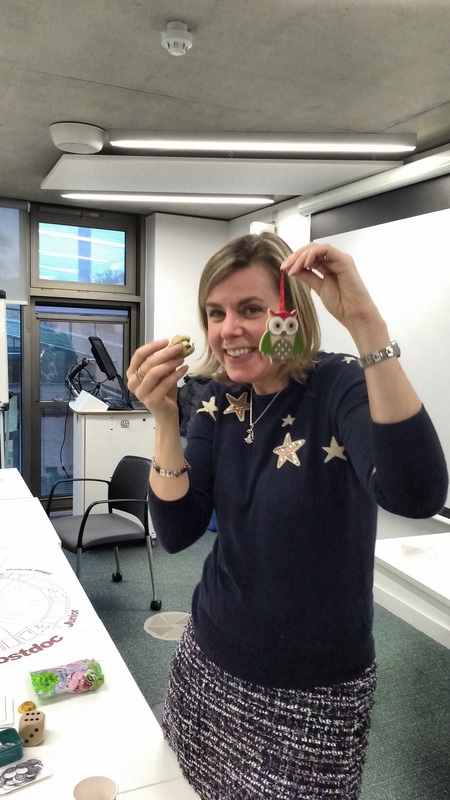 It’s been a while since I’ve posted to the Kent copyright literacy blog but that doesn’t mean we haven’t been doing all sorts of exciting things at Kent and the Community of Practice is still going strong. Yesterday we were very lucky to have my copyright literacy partner Jane Secker come and visit us for a Christmas special. Jane and I have been exploring the value of games based learning to teaching those in education and research about copyright. 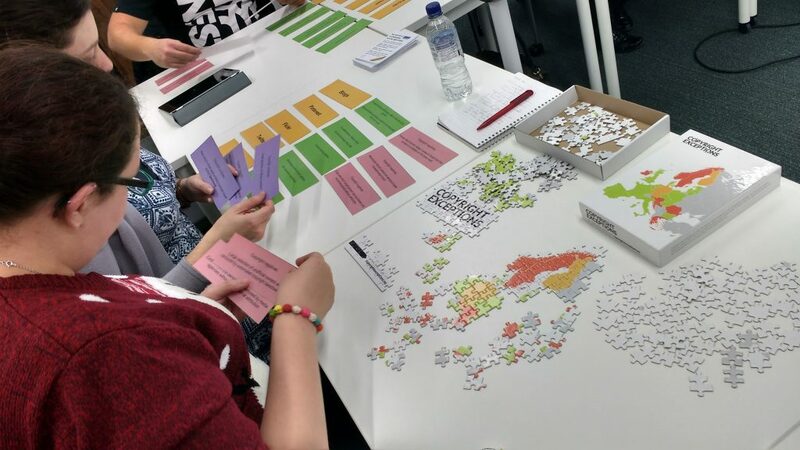 Given that it was the end of term we decided to bring together some of the games we’d already developed as well as the new one in development which is about scholarly communications choices. 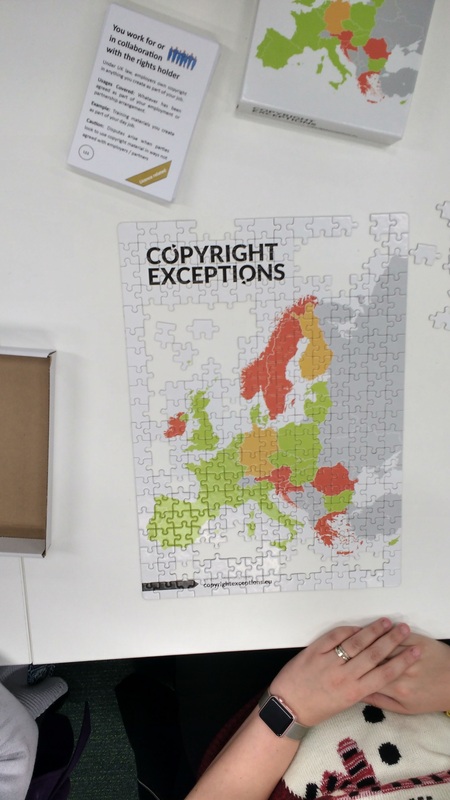 We also had a European copyright jigsaw puzzle which Kirsty and Jane from Academic Liaison Services managed to almost complete in a single sitting. Jane S and I have just posted our review of 2016 in our UK Copyright Literacy blog if you want to see what we’ve been up to in the sector at large. However 2017 looks good for developing these ideas at Kent and I’m very much looking forward to working with the Kent Law School to deliver a seminar session for undergraduates in March. Time will tell if the fully-gamified approach to copyright education will work in this case but I think this is a very exciting opportunity. So thanks to everyone who’s contributed to the development of the Community of Practice and I wish you all an excellent Christmas and New Year.